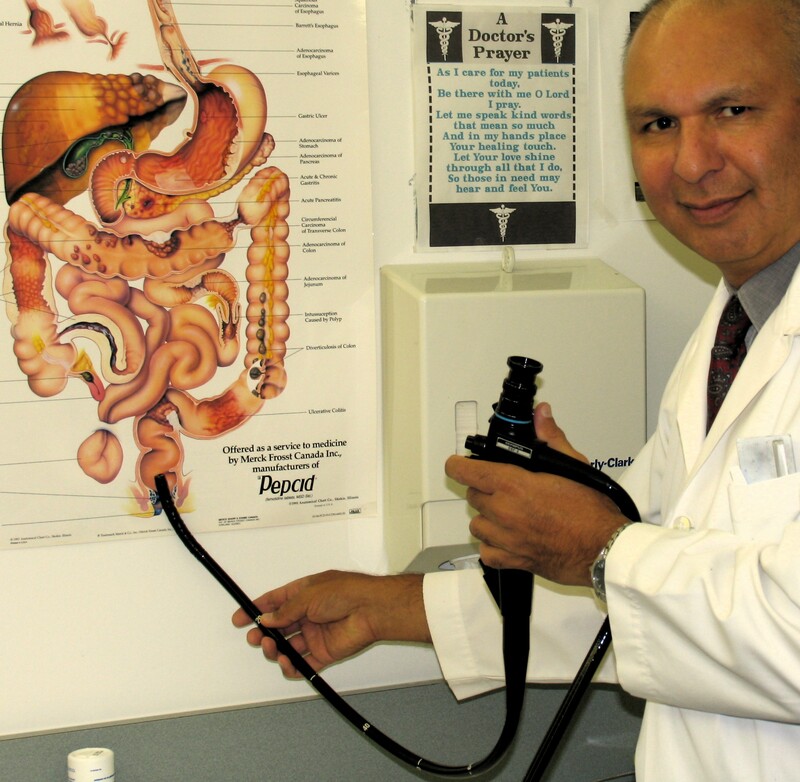 Dr. Bharwani demonstrating the use of flexible sigmoidoscope – checks left side of the colon for average risk patient. Rightly so, the media immediately picked up the conclusions of a recent study (Colonoscopic Polypectomy and Long-Term Prevention of Colorectal-Cancer Deaths) published in the New England Journal of Medicine (February 23, 2012). Among 2602 patients who had adenomas (pre-malignant polyps) removed during participation in the study, after a median of 15.8 years, had 53 per cent reduction in death from colorectal cancer. This indeed is an important conclusion. As New York Times (February 22/12) said, “Although many people have assumed that colonoscopy must save lives because it is so often recommended, strong evidence has been lacking until now.” This study has some limitations in that it was not a double blind or randomized trial. In fact, a study from Spain found that when people were offered a stool test, only 34.2 per cent took it. The figure for colonoscopy was even worse: 24.6 per cent. One thing most physicians agree is that it is important to get some type of screening test for colorectal cancer starting at age 50. Research indicates that not every polyp turns into cancer, but that nearly every colorectal tumor starts out as an adenomatous polyp. In the general population this type of polyp is found in about 15 per cent of women and 25 per cent of men. So, not every 50 year old and older is at risk of having colorectal cancer. Some are at average risk, some are at moderate risk and some are at high risk. It all depends on your personal and family history. Not all doctors who do colonoscopies are good at finding polyps. Studies have shown that polyps in the right side of the colon are more often missed than on the left side. Good news is, colonoscopy does not have to be done every year. If there are no polyps, it is recommended just once every 10 years. People with polyps are usually told to have the test every three to five years depending on the size and kind of polyp. 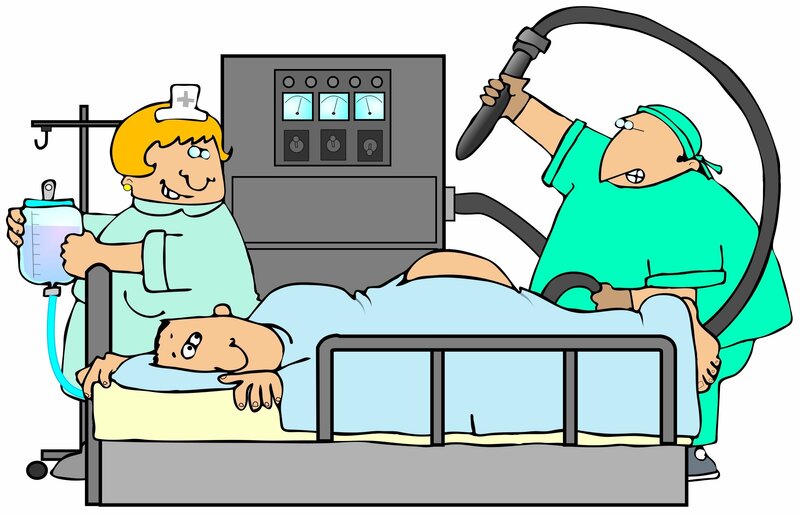 Colonoscopy should be used judiciously. It is invasive and expensive. It carries small risks of bleeding or perforation of the intestine. It requires sedation, a day off work, and patients must take strong, foul-tasting laxatives to clean out the intestines. So, what are you waiting for. Talk to your doctor about your risk (average, moderate, high), your options, the advantages and disadvantages of each test and go for it. It may save your life. Honey, where is my bottle of laxative…I said laxative not a bottle of wine. Early Colorectal Cancer Screening Saves LivesFebruary 5, 2019In "Medicine Hat News"
Are we doing too many colonoscopies? The new guidelines are here.March 8, 2016In "Medicine Hat News"